Smoking shisha from a hookah is an excellent way to sit back, relax, and enjoy the company and conversation of other people. During this time of fellowship, it has become very common for the newest generation of hookah smokers to share a single hookah hose between multiple people. This act of sharing a single hookah hose with multiple people can pose some avoidable health risks. Sharing hoses with people could potentially spread diseases such as influenza, herpes, hepatitis, tuberculosis, and what ever else you picked up last night at the bar. Although these potential risks are real, there is not a real reason why anyone should subject themselves to these potential illnesses. There are removable and disposable mouth pieces that can be purchased by the hundreds for just pennies a piece. These mouth pieces come in two basic forms. There are, “male fitting” mouth tips, that slide inside the end of the hookah hose and there are, “female fitting” mouth tips, that fit over the end of the hookah hose. Between the two of these designs, there are mouth tips that will fit any hose on the market. 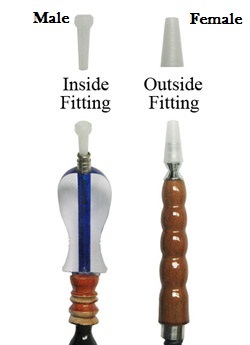 Although these mouth tips will fit any hose out there, there are some that a better suited for different hoses.Finding a mouth tip that fits your needs is the hardest part of taking this step toward being a responsible hookah smoker. 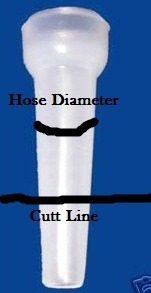 These tips have a long and slender conic shape that allows for the tip to be easily inserted and removed from the hose. Male fitting tips, commonly have a round knob on the end that is smooth and comfortable. 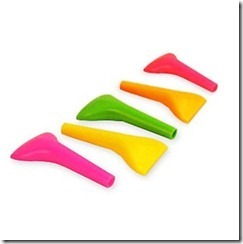 There are also ergonimically shaped tips that have a wide and flat opening. These are commonly referred to as coco-tips, as that is also a name brand of mouth pieces that are of this specific shape. 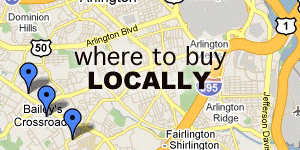 The one major downfall to these tips is that they are very restrictive. They are made to fit inside hoses of the smallest and largest diameters. Since they are made to fit inside of a small hose, the end of the tip has to be made even smaller than the smallest hoses, to ensure that the tip will fit. This draw back can be easily combated by your choice of a sword, shank, or pocket knife. First, remove the tip from the plastic wrapper that it should be wrapped in. 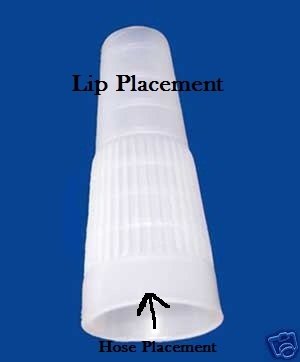 Second, place the tip into the hose tip and mark the depth with your fingernail. While still holding your finger nail in place, remove the mouth tip from the hose and cut the tip about a centimeter or two below your fingernail. Since the mouth piece is a cone, the extra length being removed opens up the diameter of the mouth tip and increases flow. Tips of this nature seem to be more common in the lounges that I have been too. They don’t require any cutting and have a larger diameter in every aspect. 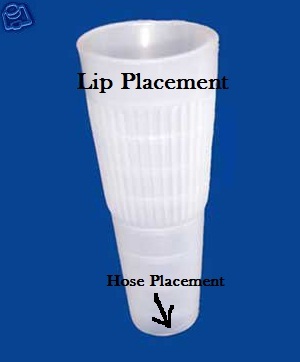 Usually, the largest end of the tip is forced over the tip of the hookah hose and a supper tight seal is created from the pressure of the hose being forced up into the bottom of the mouth tip. It should be noted, that if you push the hose tip into one of these really hard the pressure causes these tips to be difficult to then remove. As long as you don’t Hulk Smash the thing or have hyperhidrosis of the hands you will be fine. I prefer these tips when using large gauge or luxury style hookah hoses. 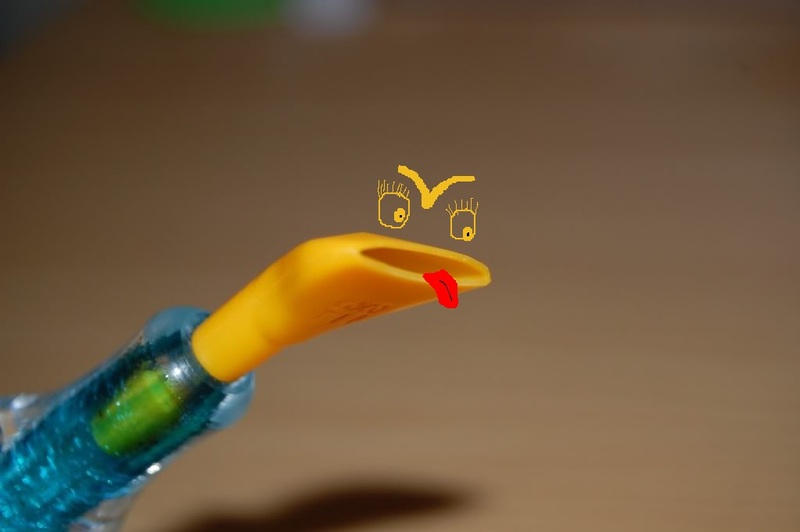 Although these “female fitting” mouth tips don’t usually fit over the large acrylic hose tip, they usually fit inside the wide gauge of the hose similar to the male fitting tips. Don’t Get Sick and Die. Buy Them. 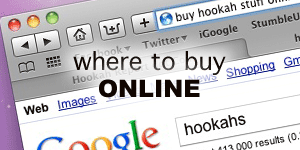 HookahJohn.com has all of the tips that are discussed. It should be said that the “coco tips” he sells come loose in a big bag and are not individually wrapped. There is no excuse for not taking the proper precautions against illness while enjoying your shisha. These hygienic mouth tips can be purchased for pennies a piece and are readily available to consumers. For just a few dollars, you can help keep your friends and community safe from the spread of communicable diseases with these simple, cheap, and sometimes stylish attachments.